Includes two double-sided ring collars, each with two loop attachments for attaching a net to either side of the collar. 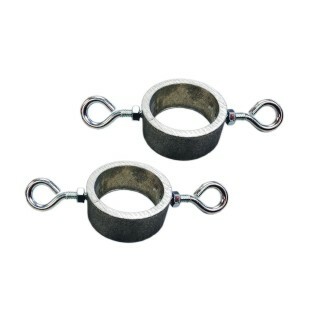 Sliding ring collars are designed to fit 2" nominal diameter game standard poles. Note that most poles listed as 2" diameter actually have a 1.9" outer diameter.